The historic Founders Library on the campus of Howard University in Washington, D.C. The tough decision that Howard University faces—whether to keep or sell its license to valuable TV spectrum for potentially hundreds of millions of dollars—is the best thing that could happen to the school. Not just because of the money, but because making that decision forces Howard to take its underutilized assets seriously and consider its role in the future of global media as the world's revered HBCU. More on that later; for now let's debunk some of the already spreading myths about the reasons for this potential sale and Howard's involvement. WHUT, Howard's PBS station and the only public station owned by an HBCU, is not for sale. It is not in financial trouble; nor has it lost market share because of a gentrifying Washington, D.C. In fact, its ratings are up, it consistently beats the two other public stations in the market and surprisingly, most of its private donors are white. Howard is also not considering entering the auction by the Federal Communications Commission because it needs money. At issue is not the station itself but the very valuable "spectrum" the station occupies. Telecoms like AT&T and Verizon desperately want more bandwidth so that they can satisfy the growing demand for content on mobile devices. The U.S. military owns the vast majority of spectrum, but it is unlikely to give it up. So in the FCC's thinking, the next logical space available is existing television stations. The FCC now wants to buy that space back and then resell it to the telecoms. But Howard is not unique. Every station in a major market has been given an estimated value if it decides to enter the auction. Likewise, they are all—at this very moment—strongly considering which is more: the money they make or the money they can take if they sell. And while WHUT may be valued at just under $200 million to nearly $500 million, that's the middle of the market. WCBS in New York has been valued at $900 million. Everyone has a tough decision to make. The kicker is that even if these stations say no, nearly all of them will still be "repacked," the FCC's version of eminent domain, squeezing them all into smaller, less valuable spectrum space. Technically, most of those stations don't really need all the spectrum they occupy. The conversion from analog to digital now allows them to broadcast several channels with a fraction of that space. Emotions aside, there are compelling reasons for Howard to at least consider entering the spectrum into the auction. Chief among them is that if the spectrum goes for top dollar, a sale could raise Howard's endowment to a billion-dollar valuation. Invested smartly, that would subsidize a lot of tuitions over many years. Also, in today's landscape, one does not need to own a broadcast property to be a player in the media. 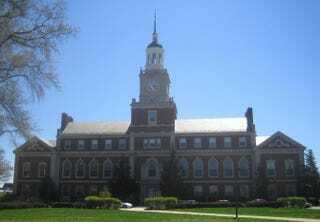 Howard University, with its unique educational offerings and wealth of talent, could be, if it desires, the largest supplier of black-focused content on the planet. But supplying content matters only when you also own the channels of distribution. That spectrum represents distribution, the most significant gap in black media ownership globally. Once you lose it, it will never come back. More than just a learning opportunity for Howard students, WHUT and its studio resource are uniquely poised to be an incubator space for content makers from around the nation. What WGBH and WNET are to PBS, as the major suppliers of PBS programming, WHUT can be as well, with thoughtful investment. While D.C. may not be Chocolate City anymore, the broader Washington area still is, and for a vast percentage of minority families, PBS is the sole source of early-childhood education. Howard has the opportunity to expand on that model, turning all its classes into a virtual university. More important, entering the auction does not guarantee the values estimated by the FCC. Companies like T-Mobile, as one example, already hold and do not use massive amounts of spectrum. If shareholders push them to sell, that spectrum could flood the market and reduce those values dramatically. Also, reports of telecoms being flush with cash to purchase spectrum are thought to be wildly overestimated. Yet Howard University's options are many. There are many alternative and profitable paths between yes and no. Other stations in the market could sell their own spectrum and then lease Howard's bandwidth. More likely, Howard may be pushed into a spectrum-sharing deal with its larger PBS rival, WETA. A terrible option for many reasons, but an option nonetheless. The wildcard in this scenario is not Howard or its board, but Congress. My gut says that Howard will stay out of the auction, but if it does, it will have to explain why it turned down money to a majority-Republican Congress that is responsible for the more than $250 million Howard gets in federal funding. That will be a tough conversation, but there are good and visionary answers to that question. But first, Howard University must come up with a serious strategic plan for using its resources to take its rightful, and profitable, place in the new media world. Eric Easter is chairman of the National Black Programming Consortium, which funds, develops and produces black-focused documentary and digital content for PBS. He is also a member of the advisory board of WHUT.